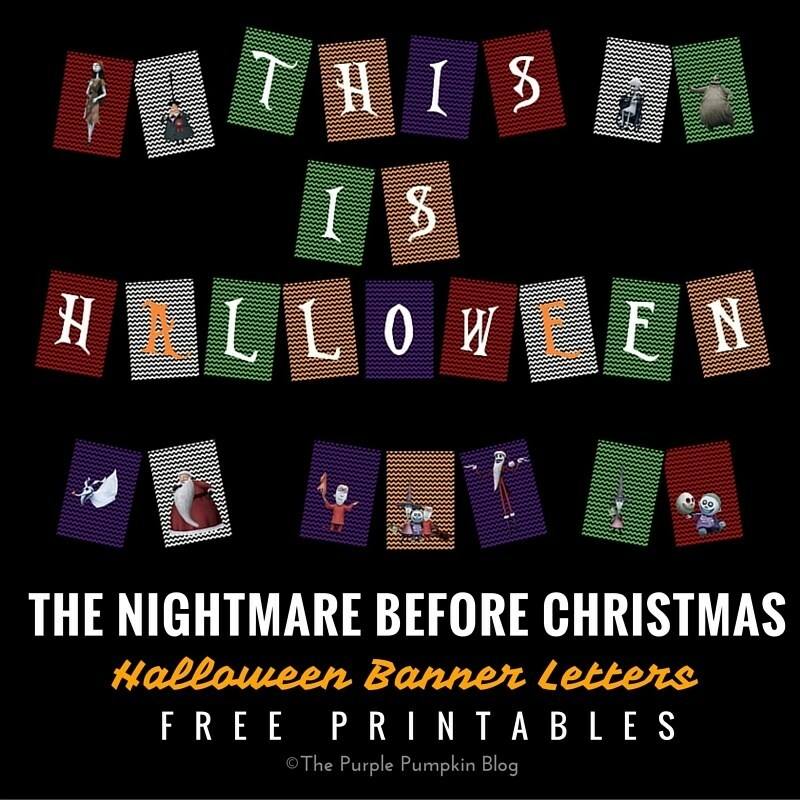 Here is the sixth free printable in my Halloween party set for Crafty October 2015: Halloween Banner Letters – The Nightmare Before Christmas. There are 12 designs in all, across all of the printables in The Nightmare Before Christmas set with the following characters. For the Halloween Banner Letters, there are the five colours: green, orange, purple, red, and white, with all of the letters A-Z, plus one each of the 12 character designs. There is also printables for each of the characters on their own, plus one as a group, and then one huge document with ALL the coloured letters and characters! Confused? I am after sorting this lot out! Simply click the text links above, or the images below to download a sheet of the characters or letter colours that you want. You can find them all mixed together in one HUGE document here. Print off the letters and/or characters that you require for your banner. Punch holes in the top corners, then thread onto ribbon or string to hang up.